We at Asmita Design have always believed in timeless fashion and we keep evolving a concept over a few seasons. Recycling, upcycling and sustainable fashion is what we at Asmita Design believe is the future and have established ourselves as a brand that has given resort wear a whole new dimension, keeping sustainability, and eco-friendly design at the heart and soul of the label. Our clothes are for the free-spirited world traveller, who is bohemian at heart, dreaming of a world without boundaries. There is nothing more beautiful than a woman being unapologetically herself, comfortable in her perfect imperfection - that is the true essence of beauty. This Zen label celebrates wanderlust and the eternal traveller, bringing together various cultures and heritage art forms to tell a story, season after season. 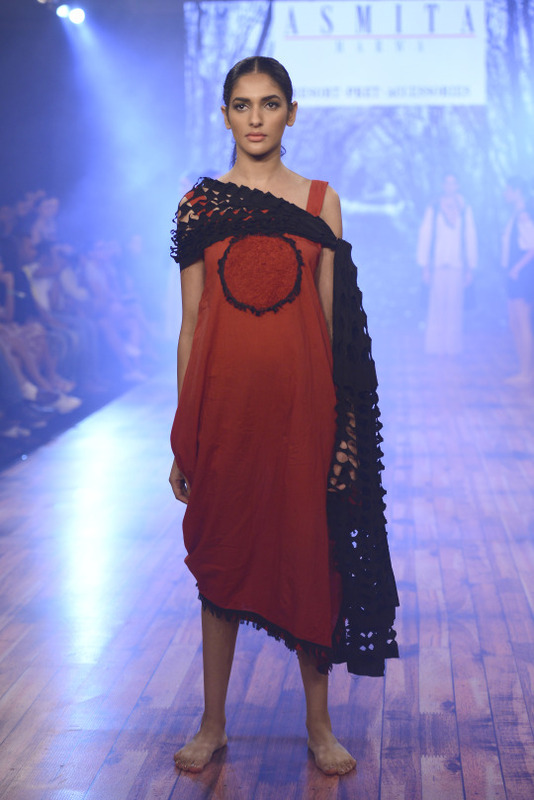 The designer, Asmita Marwa believes in taking the less-travelled road, and her collections reflect the same ideology as she fuses traditional and global aesthetics through her avant-garde sensibilities, her forte being resort wear. She has been a part of Lakme Fashion Week since 2008 and Fashion Week in Goa since 2011, and has now been invited to show her ‘Zero Waste’ collection at the recently concluded Global Sustainable Fashion Week, Budapest, Hungary. A bundle of talent, Vogue has featured her as a ‘Promising Talent To Watch Out For’. Since then she has been re-inventing Fashion and Style every season like a breath of fresh air. I work towards a synergy of aesthetics, a certain flow which is seamless yet innovative - drawing inspiration from my rich culture and heritage, but the design language remains global! We make a lot of separates, which can be added to any wardrobe and give it a distinctive appeal. My design mantra is timeless fashion, which crosses borders and boundaries. There is a certain spiritual energy, which comes through as every garment is handmade with great care. What or who inspires you the most? Do you have a muse? I’m an avid traveller and love exploring new places and cultures. It has been my main source of inspiration. My muse, Maya is a product of my imagination but I know she exists in every modern Woman. 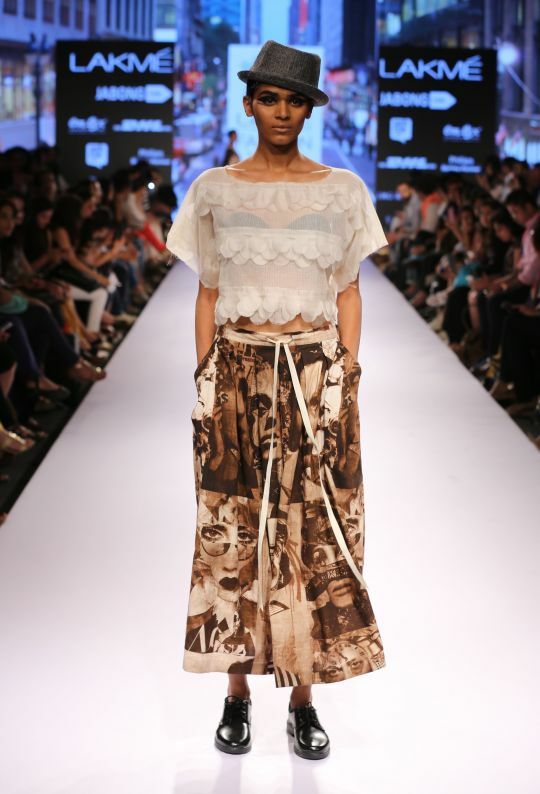 Maya, the free spirited world traveller bohemian at heart, dreams of a world without boundaries. She is independent and spirited enough to wear a drape with the same sanguine ease as a pair of samurai pants or shorts. She is eclectic. 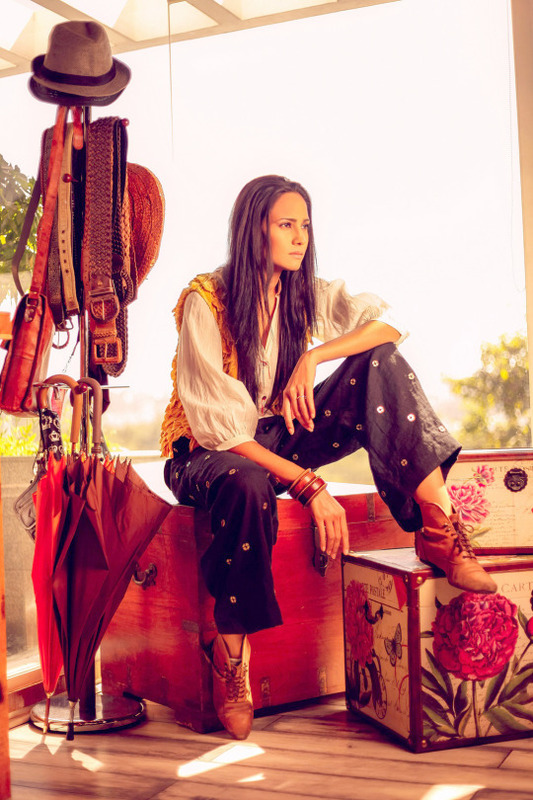 She is bohemian, and her wardrobe is a perfect example of diversity - mixed and matched in quirky abandon. You employ sustainable practices. How do you incorporate environmental consciousness into the production process? As we have mentioned, we at Asmita Design have always believed in timeless fashion and are evolving a concept over a few seasons. Asmita Marwa is a sustainable fashion label creating and manufacturing garments in-house, using ethical norms and practices. We believe in ‘Cradle-to-Cradle’ design, or re-generative design, which is holistic. We create systems that are not only efficient but also essentially waste-free. Could you tell us a bit more of what sustainability means to you? Sustainability is an ideology, a state of mind, and a concept close to my heart as a designer and a creative person. It is the crux and essence of my label and brand. Sustainability is about slow-fashion, time-less fashion, it’s about evolving a concept, re-inventing and re-interpreting it over a few seasons. Sustainable fashion does not believe in churning out collection after collection making the consumers feel that they are outdated because they don’t have the latest pieces. It is about adding separates to continue the evolution of a concept or design language. We will be taking part in Fashion Week in Delhi and Mumbai the coming season, and will also take our brand to various other cities in India. We are looking forward to retailing in Europe and are working towards it.